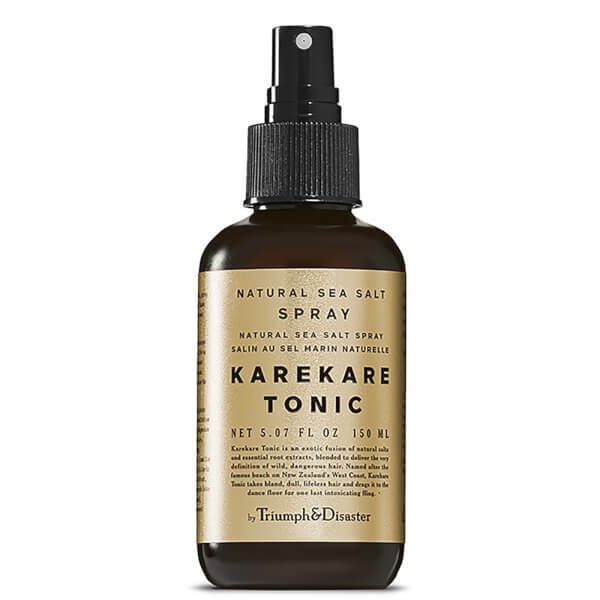 Achieve surfer-inspired looks with Triumph & Disaster Karekare Tonic Salt Spray; a weightless mist infused with natural salts and essential root extracts. Named after the famous beach on New Zealand's West Coast, the Karekare Tonic adds long-lasting texture and definition to your style. Epsom Salt activates curls and Sea Beet increases volume and shine, whilst a dose of Willow Herb targets dull, lifeless hair for salon-worthy results and beachy vibes. Para un look vibrante texturizado, rociar en el cabello húmedo o seco, peinar y dejar secar. Agitar antes de usar. Evitar el contacto con los ojos.